Tracing alphabet chart in uppercase and lowercase cursive. These charts are available in PDF format with 26 tracing / handwriting alphabet letters from A to Z in both capital uppercase and small lowercase form. Download and print our free PDF alphabet tracing charts in A4 portrait and landscape variations. 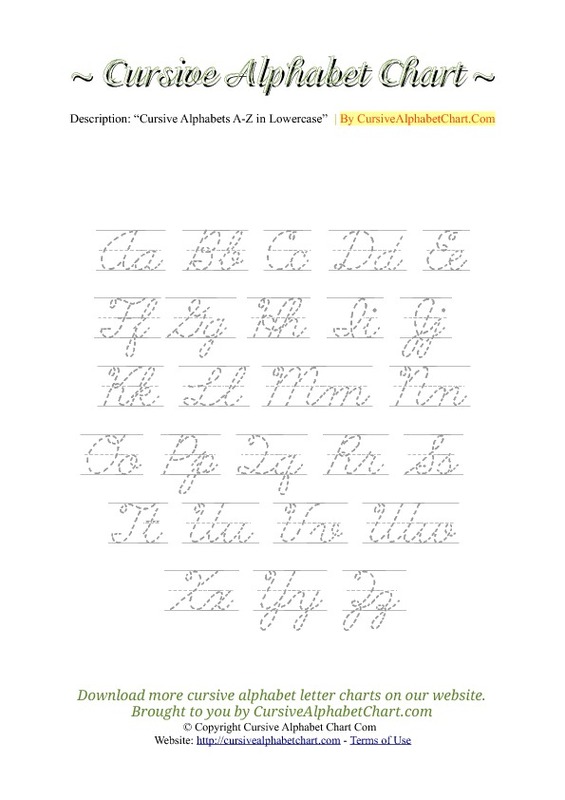 Cursive alphabet charts with tracing guidelines to print in A4 printable format. Suitable for teachers and children at school and home use. 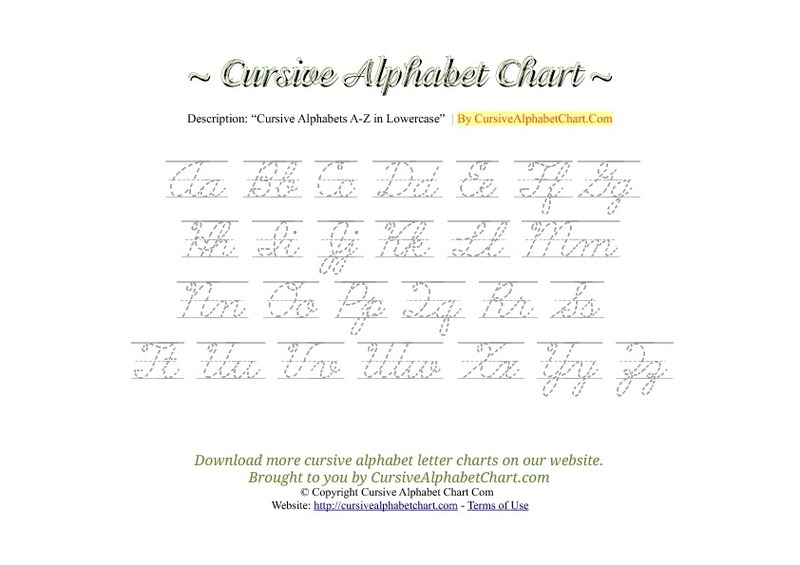 2 charts are available with alphabet letters A to Z in cursive form with tracing. These charts are available in PDF printable format. Download Instructions: Simply click the "Download" link below the thumbnail previews of each cursive alphabet chart with tracing letters. A printable PDF page will open in a new window with the corresponding chart. You may choose to print the uppercase and lowercase chart in PDF format online, or choose to download and save the PDF document to a location on your computer.